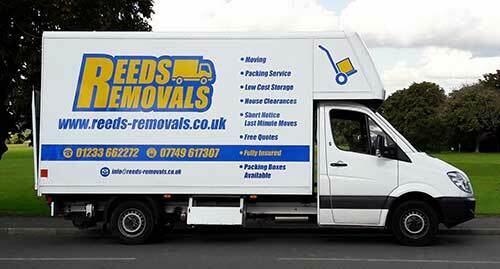 REEDS REMOVALS based in Ashford, Kent, but covering the whole of the UK. We know that moving house can be a daunting experience. We're here to make the transition as smooth as possible. With over 30 years experience, our professional staff are here to meet all your relocation needs, whether you're moving your home or business across the city or across the country. Our experienced removal staff have been specially trained in loading and unloading your belongings safely and securely. We're here to lighten the load and to take the worry out of moving. Short notice - last minute moves. Every item is carried and stacked with years of experience - no knocking into doorways and walls etc. STOP!!! Our Spring Offer is here! 2 man move = Only £350 per day plus fuel. Contact us today for availability! Don't miss out. We typically cover Ashford, Canterbury, Maidstone and along the coastline from New Romney up to Dover, including Folkestone and Hythe, but will move you anywhere on the UK mainland. Pick up the phone to check the dates you require us, and simply tell us whether you want one man with the van or 2, it's that straightforward. No estimates - because it's a fixed price! No surprises, no hidden charges. 1 man move = £295 per day plus fuel. 2 man move = £375 per day plus fuel. 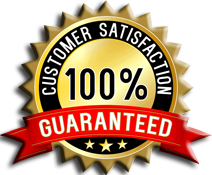 We pride ourselves in the quality of our work and we are committed to ensuring your move goes seamlessly. Rest assured that we take care of all your possessions. Your satisfaction matters! We are fully insured to transport your precious belongings, so let us take the worry out of your move! We are experts in 'specialist' moving including fine-art transportation. Reeds Removals in Ashford, Kent removes the guesswork when trying to budget for your house move. A simple no-nonsense approch to pricing is what our customers love. You pay a £50 deposit when booking and the balance on the day of the move.